The purpose of this post needs to be made very clear. I am not ranting or complaining about buggy software or Microsoft. I am writing this article for two main reasons. One, I want to provide Microsoft with feedback so that they can track down the issues I and others are having. Two, I want to remind all of our readers that Windows 10 for phones is not finished and is very buggy. I do not recommend installing it unless you are ready to troubleshoot your phone and are aware that your phone may stop working for any reason. Okay, with that out of the way, let’s get on to the subject at hand. Microsoft released a preview build of Windows 10 for Phones (Build 10051) on Friday, April 10, 2015. I installed it on three phones. The Nokia Lumia 830, Nokia Lumia 928, and Nokia Lumia 520. All these phones were previously running Windows Phone 8.1 Update 1. The Nokia Lumia 830 upgraded to Windows 10 preview without a hitch. However, the upgrade for the Lumia 928 and Lumia 520 was a disaster. It is as if one went to surgery and came out with a missing lung, kidney, and open wounds. This is how I would describe the upgrade of the Lumia 520 and the Lumia 928. Let’s start with the Lumia 520. after the upgrade was complete, things appeared to be normal at a first glance. All the tiles were where they were supposed to be. I could see some new apps and upgraded ones. However, as soon as I tapped on the “All Settings” tile on the Action Center, I noticed that nothing happened. So, I decided to open settings from the All apps view. But I was in for an epic surprise. I found not one settings icon but two! I tapped the first one and nothing happened. So I tapped the second one, and I was in for an even bigger surprise! I was greeted with the unorganized settings from Windows Phone 8.1! In fact, most of the settings, such as the “About”, were from Windows Phone 8.1 and not the upgraded one from Windows 10. For those that don’t know. Windows 10 for phones brings a new unified and organized settings app. The Lumia 520 was also quite slow to respond with Windows 10. That was expected from the lowest end phone and running the newest beta OS. So naturally, I presumed that if I reimage the phone these problems should be fixed. I decided to go and reset the pone from within Windows. After the reset, I was in for a shock. There were no tiles pinned to the Start Screen. Furthermore, most apps were missing. There were no settings app, no “Project Spartan”, no “Mail”, “Calendar”, and “People”. In fact, there were hardly anything. But there was a strange app. Despite not having most core apps after the reset, there was an app called “People Legacy”. Opening it brought up the old “People Hub” from Windows Phone 8.1! I didn’t even know Windows 10 for Phones Build 10051 had that app. I couldn’t find it on my Lumia 830. At that point, I decided that this was not going to work. I plugged in the Lumia 520 to the PC to flash it back to Windows Phone 8.1. More horrors would follow. However, before continuing with the story of the Lumia 520, let’s take a look at what happened to the Lumia 928. My sister’s Lumia 928 upgraded to Windows 10 for phones from Windows Phone 8.1. However, after it finished, my sister told me that apps were missing. I sensed an immediate red flag, recalling what happened to my Lumia 520. I was told that there were no Settings app. In fact, many essential apps were gone! I didn’t want to risk resetting the phone like I had with the Lumia 520. So I used the Windows Phone Recovery Tool to flash that phone back to Windows Phone 8. It was success. However, the same could not be said for the Nokia Lumia 520. 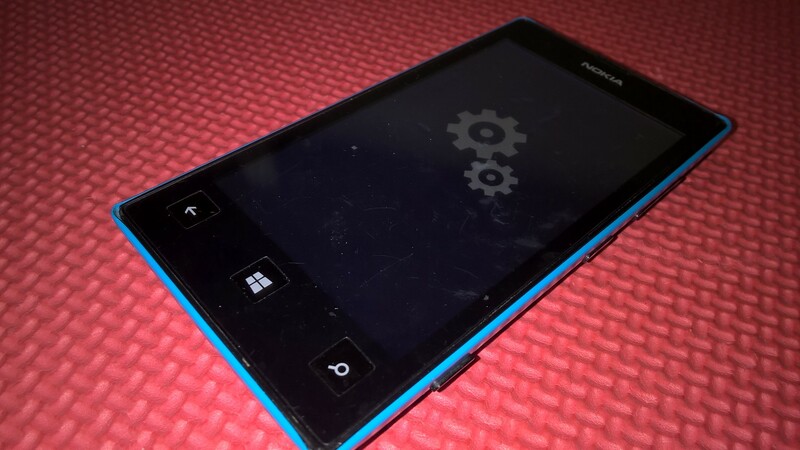 The Windows Phone Recovery Tool (WPRT) detected the Lumia 520 and attempted to reinstall Windows Phone 8.1 on the phone. However, it failed in the process, rendering my phone unusable. At that point, I could not use the WPRT to flash my phone. It would not detect it. So I held my breath and downloaded the Lumia Software Recovery Toll (LSRT). The LSRT could not detect my phone, but gave the option to troubleshoot a “dead” phone. I followed the instructions and was relieved to find that the LSRT was able to detect my phone and began reinstalling the software. Unfortunately, it, too, failed. After over 10 attempts, and tips from twitter users, I was able to use the LSRT to recover the phone. Twitter user @andym_68 recommended that I run LSRT as admin, and doing that seemed to work. I hold no grudge for the experience. I signed up for things like this when I chose to be an insider. I am more than happy to be an insider, knowing that Microsoft can use feedback like this to improve their product for all of us. Thus, I hope Microsoft reads this and is able to use it for bettering their OS. As for the rest of our readers, I urge you to take caution before attempting to upgrade your phones to Windows 10 for phones Technical Preview. Things can and will go wrong. But in the end, we will, God Willing, have a much better product.